By now you've probably noticed our new array of battery powered flameless LED candles. We're rather proud of our candle designs and the influence they'd had in the industry since they've been introduced. Quite a bit of engineering time went into developing the one key feature that no one before us had quite captured: a pleasant and realistic flicker. 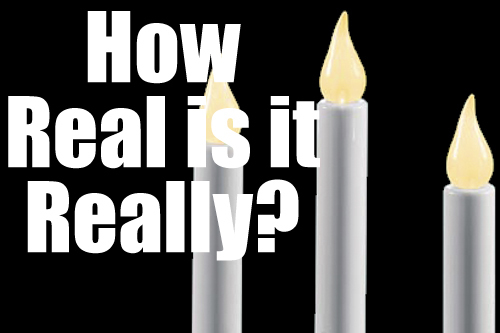 Now we keep saying that the flicker on our candles is "realistic," but what does it actually look like? Watch the video below to see our wireless candles in action.